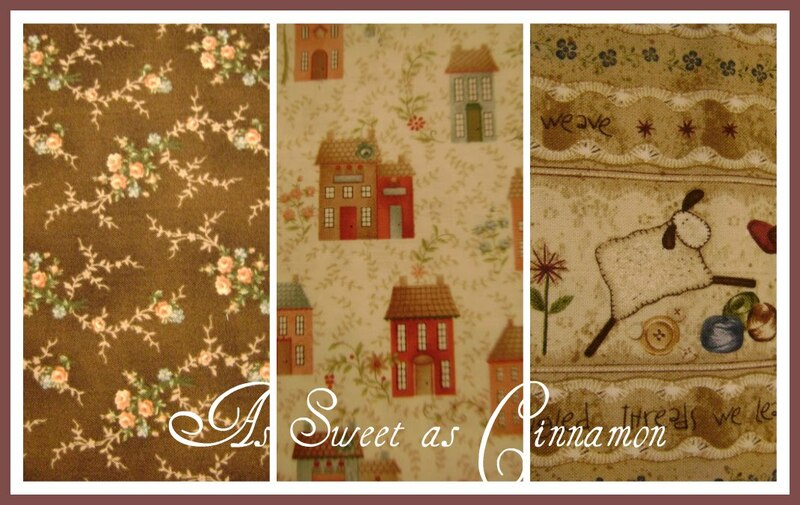 As sweet as cinnamon: How could I resist????? I visited Carol's of Midland and purchased these fabrics for my Dear Jane. I am keeping a journal of the blocks I make and so thought while I was there I would buy some and make a blocks that reminded me of the wedding and having the fabrics bought in W.A I thought it would be even more special. ever do that... can't go past a cute fabric??? (1st and 2nd picture) I couldn't resist so purchased a few yards from Hollyhill Quilt Shoppe and Mercantile. now to make something nice with it. Honestly How could you resist? I wanted to let you know about our new free blog advertising program. When you get a moment take a look. Look upon your lovely purchases as "souvenir shopping". You defintely could not leave them behind. All gawjus sweet Dawnie ... and what a great idea to make a block to coincide with the wedding ... a lovely keepsake :o). Impossible to resist!! 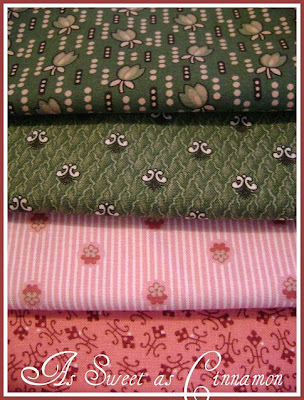 wonderful fabrics!! 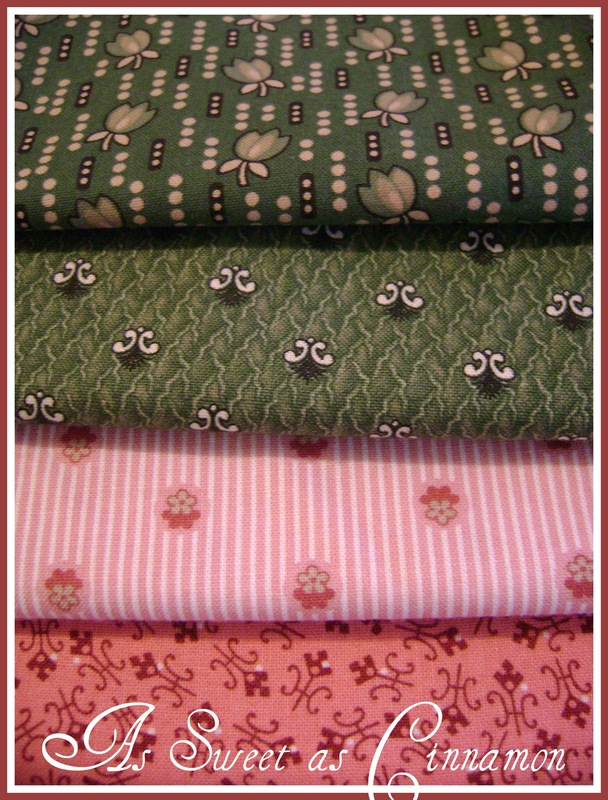 Oh yes, very very pretty fabrics! A bit early.... Frosty Flakes Block Seven! Lime Flash...Block Six.... sounds Yummy! Well done Mrs T Bakker! Rain Rain... oh how I love you!